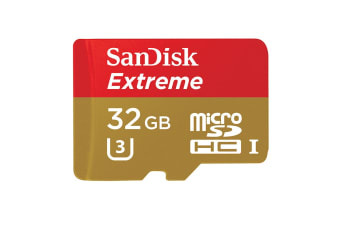 The SanDisk 32GB Extreme microSD, C10, 90MB/s R, UHS-I Card can deliver the speed, capacity, durability, and quality you need for your unforgettable extreme sports videos. Capture stunning details, even if you blink on the way down with the SanDisk 32GB Extreme microSD, C10, 90MB/s R, UHS-I Card. 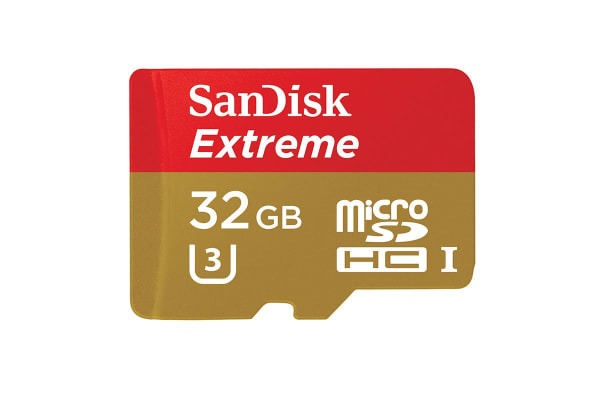 With the SanDisk Extreme card, you can now enjoy the great outdoors with its tough durability even under challenging environmental conditions.